Everyone knows about the wicked stepmothers, but no one has ever told the stories of the birth mothers. Meet the original First Wives Club. Cinderella and Snow White’s mothers are enduring a quiet, genteel afterlife, when their routine is thrown into chaos by the discovery of a magic mirror that allows them to see what catastrophes their wayward husbands and their wicked second wives have visited upon their children. Tensions are not improved by the arrival of the earthy, plainspoken mother of Hansel and Gretel. How they negotiate their relationships with each other is as rocky and volatile as their attempts to interfere in the lives of their daughters. Along the way they learn how much wickedness the good are capable of — as well as how much good a little wickedness can create. 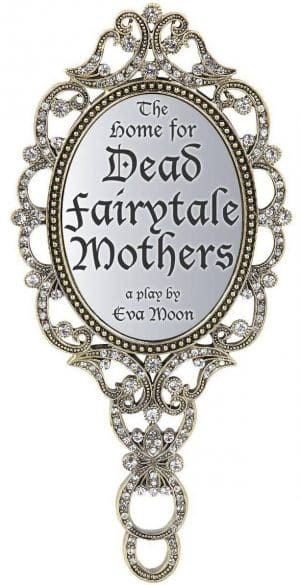 “The Home for Dead Fairytale Mothers” is a full-length play for five actresses (two parts are minor) and a single set. It can be staged very simply in a small space. It is new and has not yet been produced.